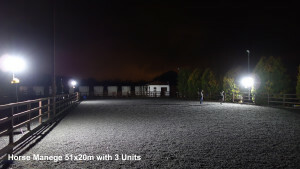 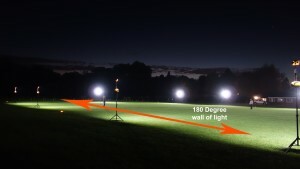 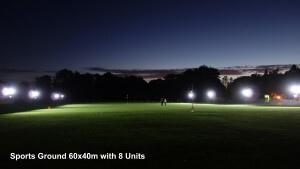 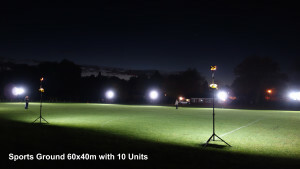 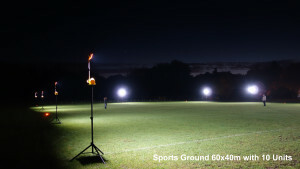 Rechargeable Sports floodlights for equine and Sports training grounds etc. 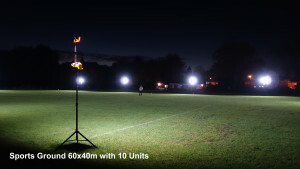 Offers a Real alternative to mains or generator powered lights ! 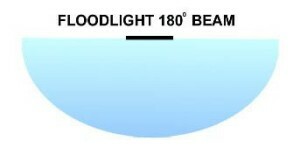 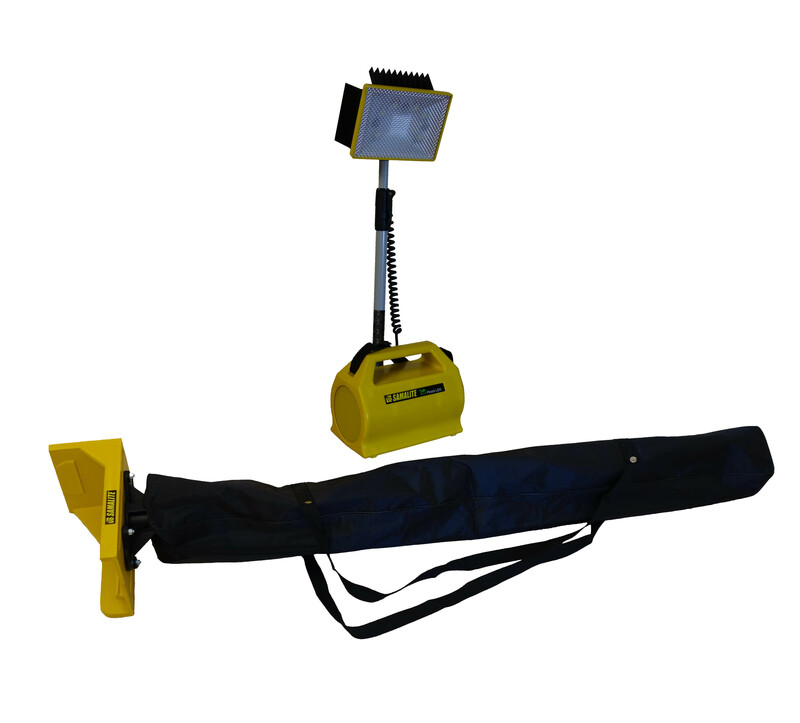 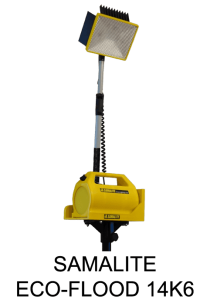 This amazing new lightweight portable floodlight system uses the Superior non-memory lightweight Lithium-Ion battery technology giving a product weight of only 2.67kg and years of maintenance-free use. 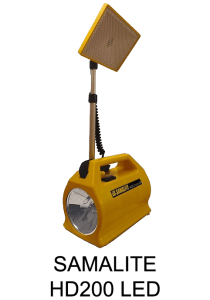 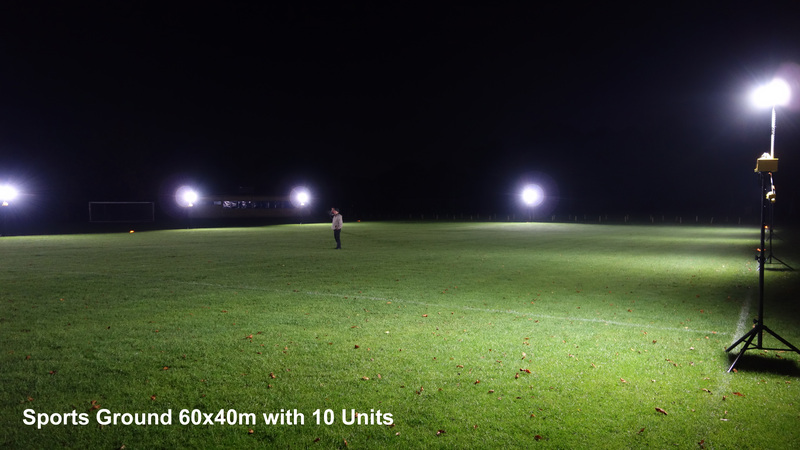 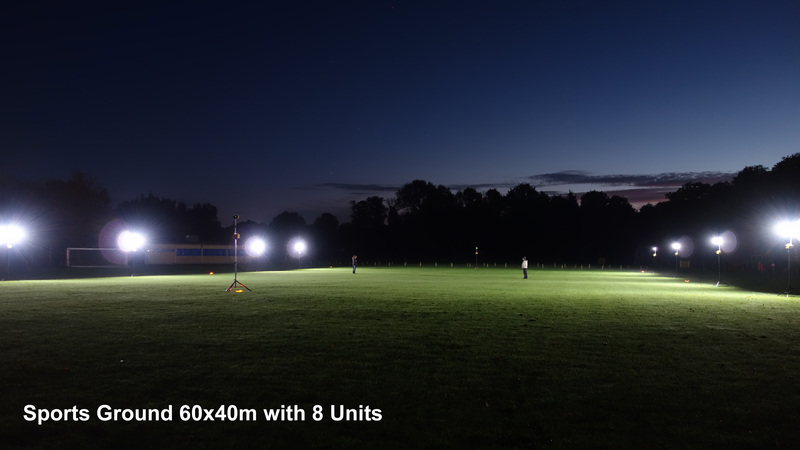 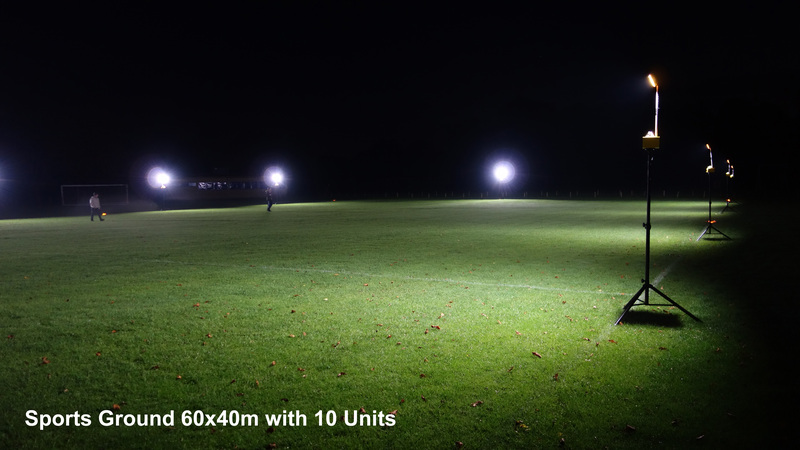 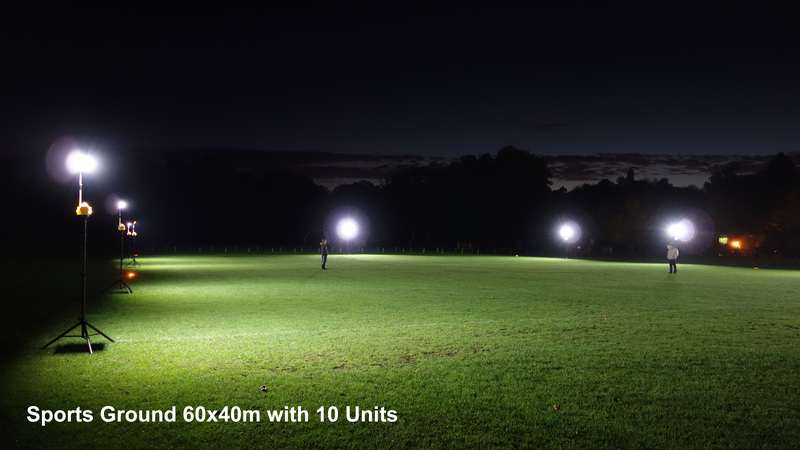 The Samalite Eco-Flood Sport can be easily transported by foot and set up in seconds, capable of floodlighting large areas outside or rooms for working in. 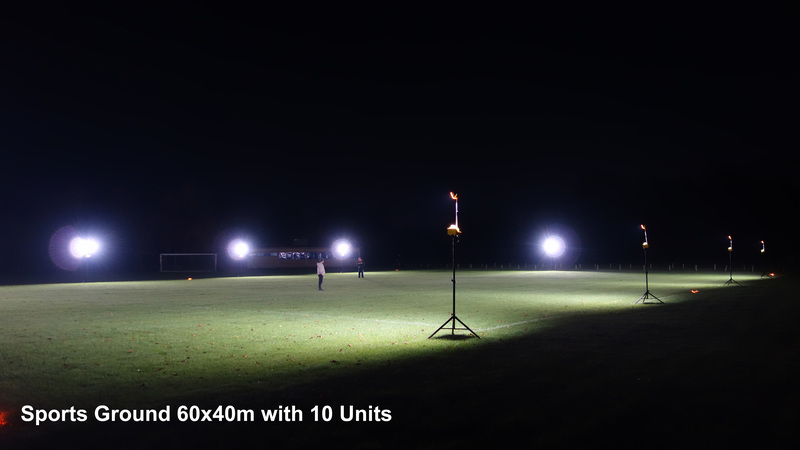 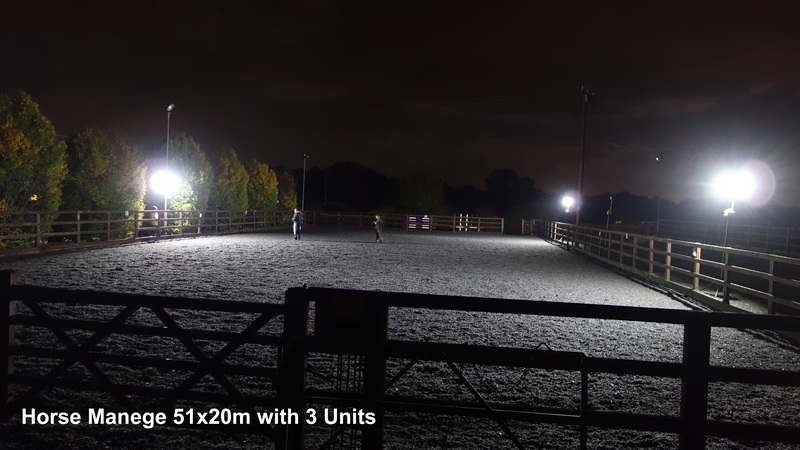 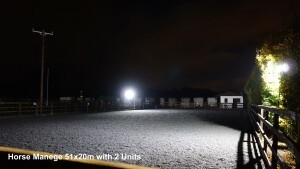 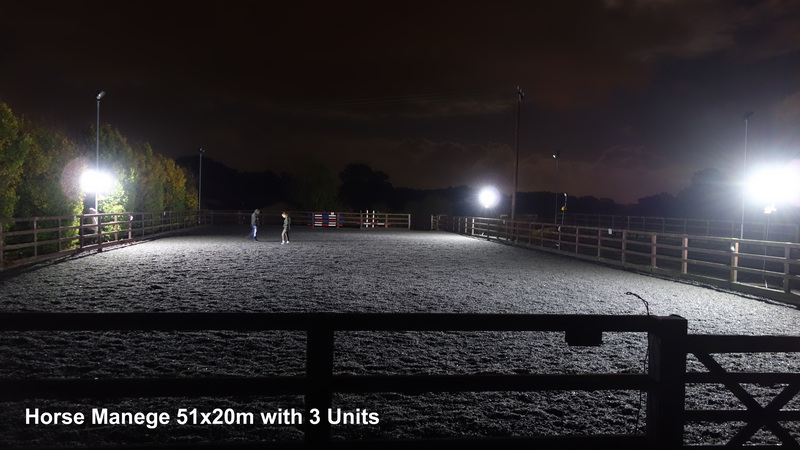 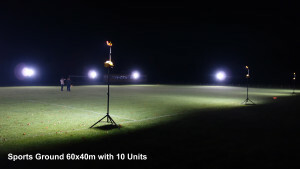 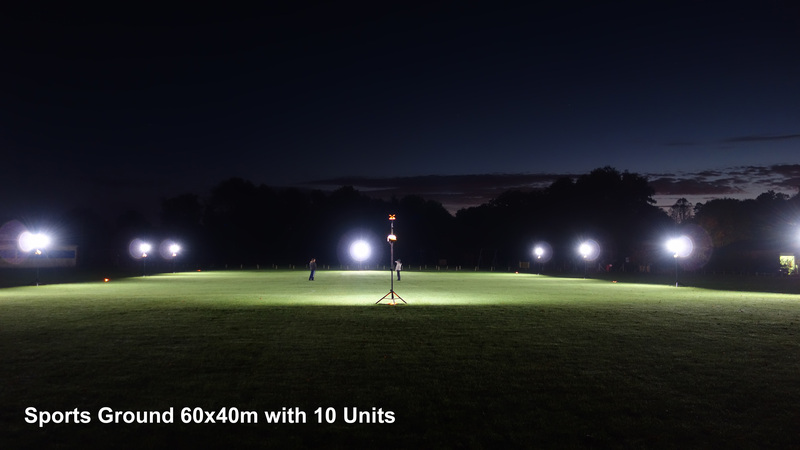 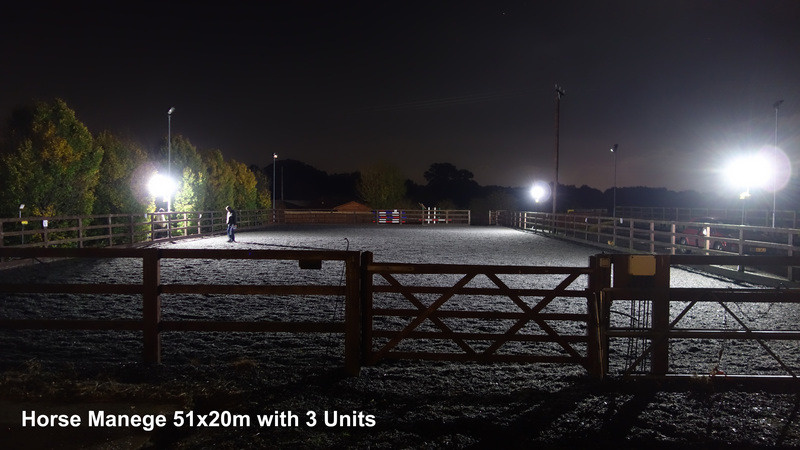 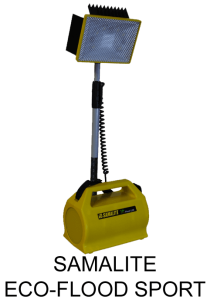 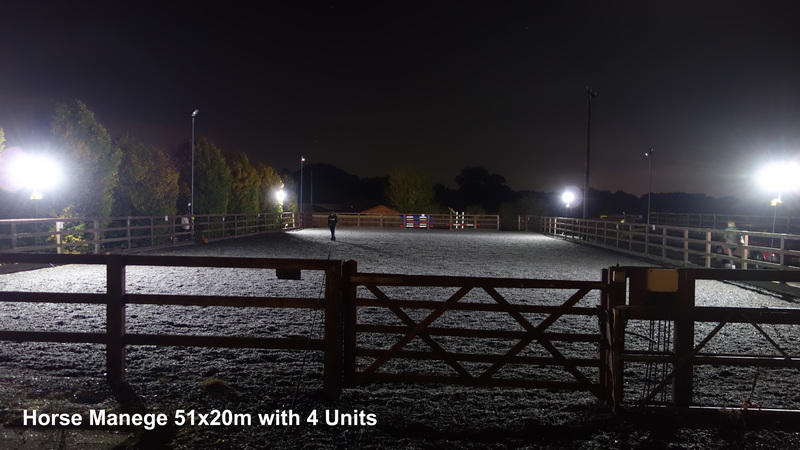 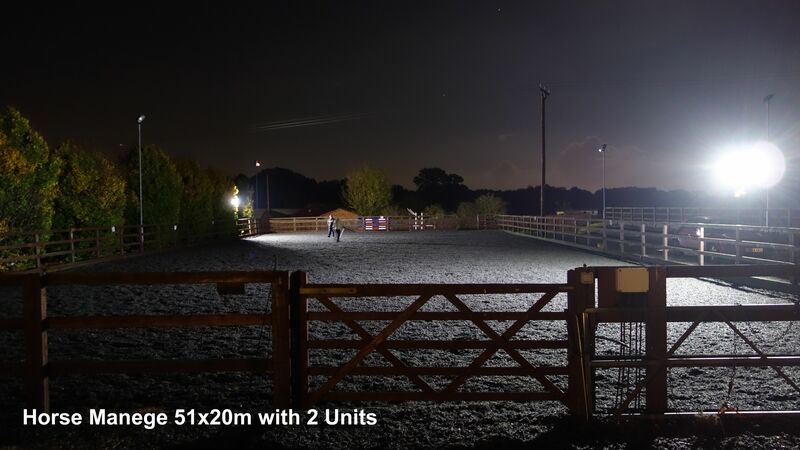 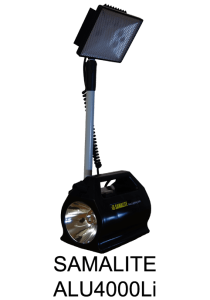 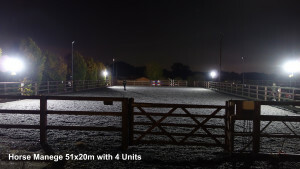 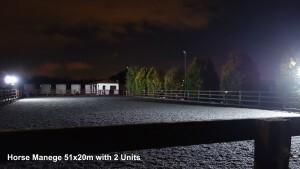 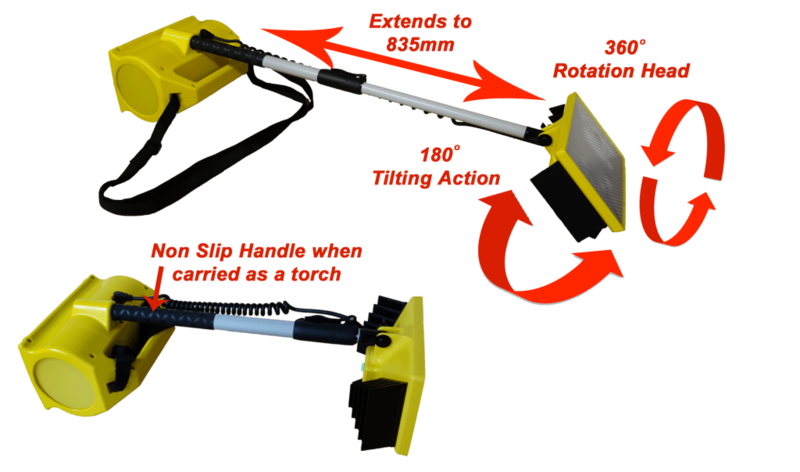 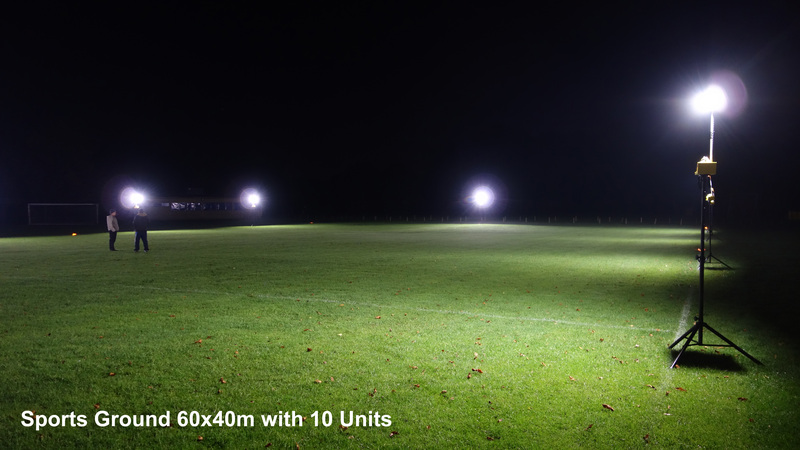 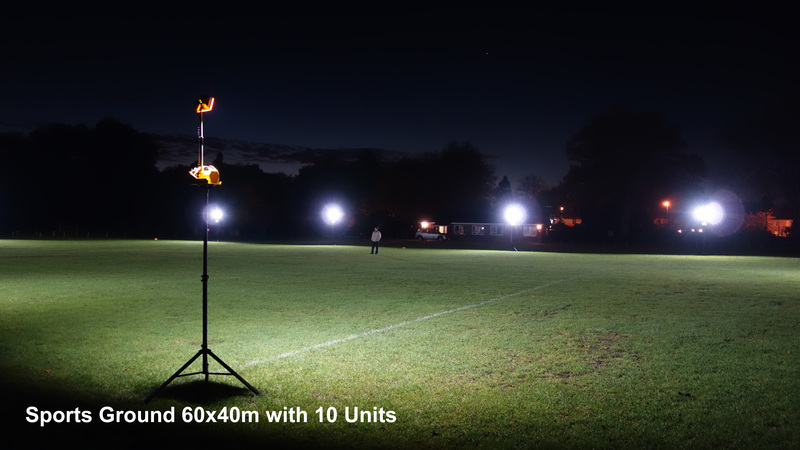 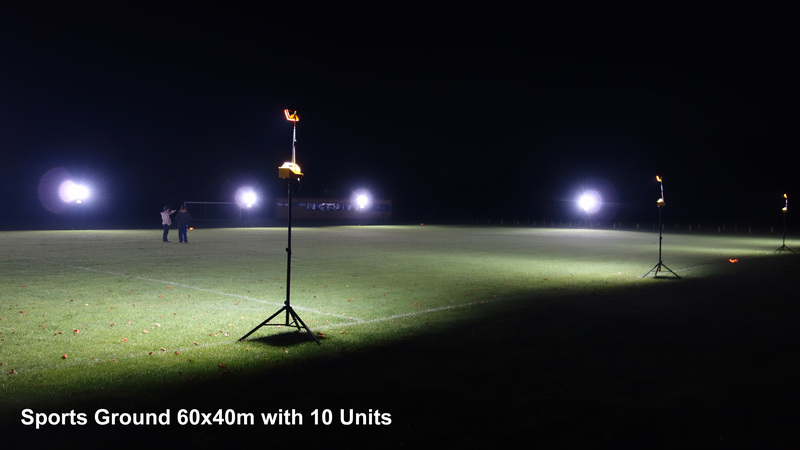 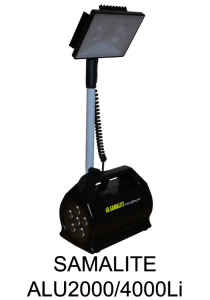 The Samalite floodlight provides a cost saving alternative to mains or generator powered lighting and is ideal for, Equine, Sports training grounds, Marquees, Garden events, Work lights, and general use. Each Samalite is rated IP65, fully weatherproof, frost, heat, water and fuel resistant with a high impact polyurethane body and shatterproof polycarbonate lenses. 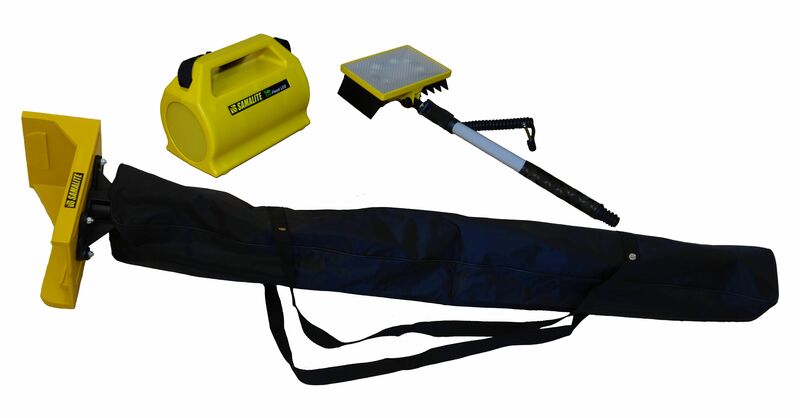 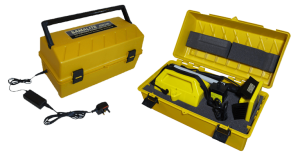 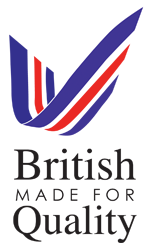 – Accessories available to enhance versatility of product, Storage Charging Case, Canvass Holdall, Storage operating Bracket, Tripod Stand Tilting Bracket, Vehicle Charger, Stability Bags and Guide strings available for use in adverse weather and situations, Remote Control Light Switching ON & OFF.